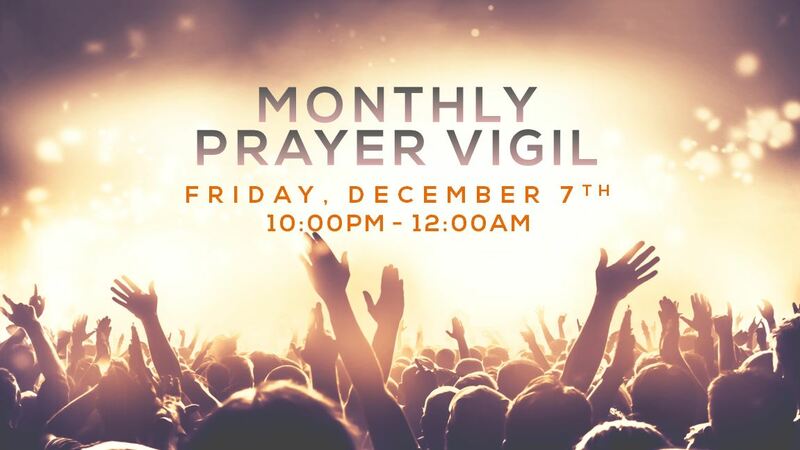 On FRIDAY, DECEMBER 7th we meet at 10:00pm until midnight for our Monthly Prayer Vigil for the entire family. We encourage you to continue to build your prayer habit, committing to spend time with God and cause change around you. On Tuesdays, we meet in the mornings at 10:00am until 11:30am, then again in the evening at 7:30pm for our Prayer Service. Join us!